We’ll help you plan your week-long family holiday in the Tricity area, so you’ll be able to experience the maritime climate of the city, visit as much as possible, and have a great time. Start by exploring Gdansk. It’s best to enter the city through the Golden Gate, then take a stroll along the Royal Route, which consists of the Long Lane and the Long Market. 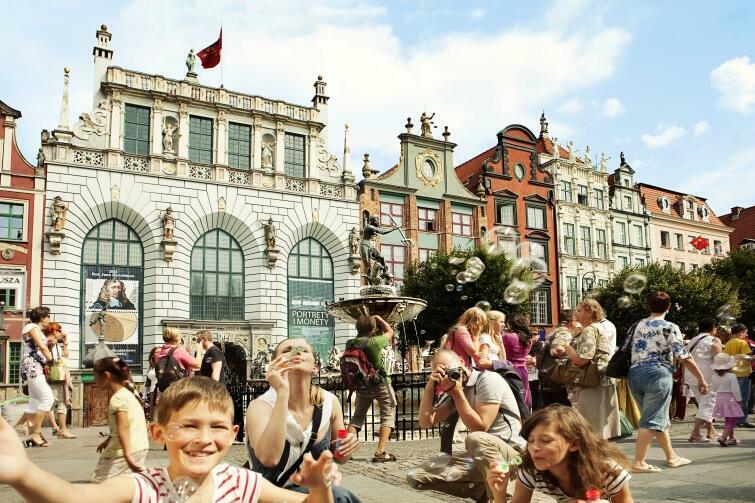 Along the way, have a look at the colourful old Gdansk townhouses and pop into the History Museum, located in the Main Town Hall. Be sure to take the kids to the observation gallery, from which you can look at Gdansk from above. Right next to the Town Hall stands Neptune, the most famous fountain in Gdansk. A few steps further is the Green Gate, beyond with is the river Motlawa. Be sure to visit the Crane, which, like Neptune, is one of the most recognisable symbols of Gdansk. The SS Soldek, the first seagoing vessel built in a Polish shipyard after the Second World War, also makes quite an impression on the youngest visitors (and not only). You’ll also feel the seaside atmosphere of Gdansk at the National Maritime Museum, located right next to the Granaries on Olowianka Island. At the end of the tour, have a look at everything again – this time, from above. AmberSky, a 50-metre-tall observation wheel, will help you do just that. We also recommend you dedicate the second day of the week to sightseeing- this time, however, on the water! You have several options. The first are organised by Gdansk Sailing. There are three routes – to Westerplatte (combined with a visit to the port) to Sopot, and to Hel. Another option is a trip on one of two ships built to look like galleons. The Black Pearl and the Lion Galleon wait for tourists along the Long Quay, next to the Green Bridge over the Motlawa river. 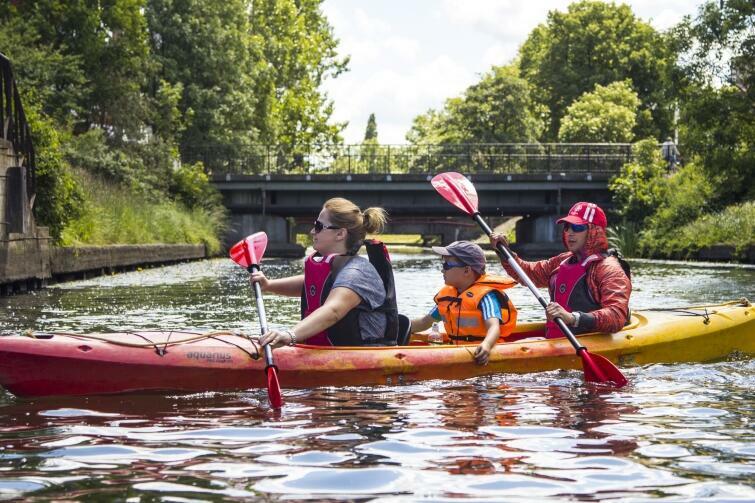 And if you want to explore Gdansk even closer to the water, choose kayaks. You can rent them and paddle yourself along the Motlawa, or join an organised excursion. With the latter option, you’ll have several routes to choose from, including a trip to the Wisloujscie Fortress and to Sobieszewska Island. Sunset kayaking tours are also available. After two very active days, it’s definitely time for a little relaxation, so head to the beach! There are eight beaches with lifeguards in Gdansk – Jelitkowo, Jelitkowo Klipper, Brzezno Pier, Brzezno Spa, Stogi, Sobieszewo, Orle, and starting this year, Swibno. Children can enjoy themselves on playgrounds located on or near the beaches. 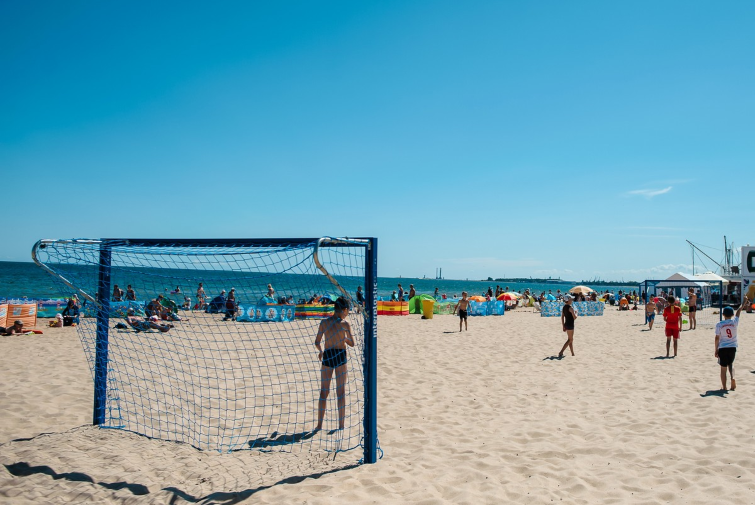 You can find them at Brzezno beach, to the left of entrance number 51, at the Peperino Restaurant at the end of Haller street, and at Stogi beach entrance number 26, among other places. The biggest hit among children, however, is definitely Play Land, a huge playground located in Ronald Reagan Park (from Piastowska Street in Jelitkowo to Haller Avenue in Brzezno). 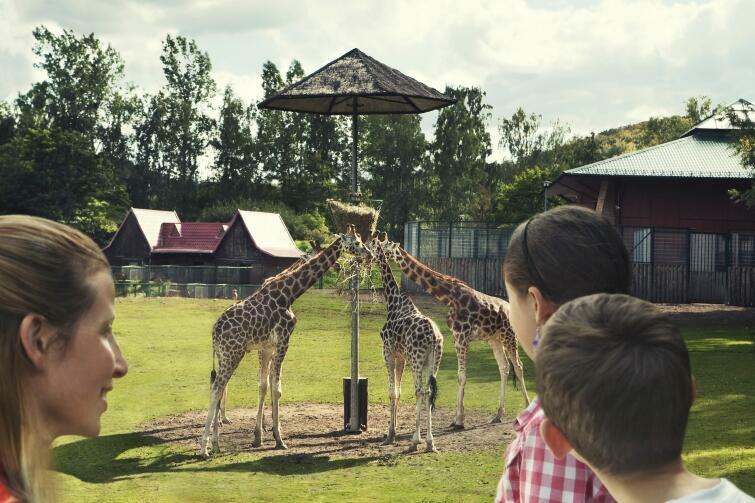 We recommend spending one day visiting the Oliwa ZOO, the largest zoo in Poland. With an area of about 125 hectares, it contains animals from all seven continents. Be prepared to encounter lions, giraffes, hippo, zebras, penguins, camels, and more. Near the main entrance there is also a Mini Zoo, which, though designed for small children, is plenty of fun for older children and parents. At the entrance you’ll get some branches, which you can pluck the leaves from and feed them to the sheep and goats. And if that’s still not quite enough for you, remember that the zoo also has the “Jar of Monkeys” Rope Park. There you can choose from nine routes of varying difficulty. When coming back from the zoo, be sure to stop at Pacholek, a 100.8-metre hill towering over Old Oliwa. On the hill is a 15-metre observation tower, from which you can enjoy a wonderful view of Gdansk Bay. While you’re in Oliwa, take a stroll through Oliwa Park. While on holiday in Gdansk, it’s worth taking the kids to Westerplatte. You can get there by boat, bus, or car. As part of a history lesson, visit the barracks, guardhouse, observation tower, and show the children the Monument to the Defenders of Westerplatte. It will definitely make quite the impression on them – at 23 metres high, it is built with 236 granite blocks, weighing up to 1,150 tonnes. While visiting Westerplatte, take the chance to visit the lesser known Wisloujscie Fortress, an unique landmark of the art of fortification which formerly controlled the movement of ships entering and exiting the port of Gdansk. The Hewelianum Centre, a science centre located atop Hail Hill, is a must-see for every kid visiting Gdansk. 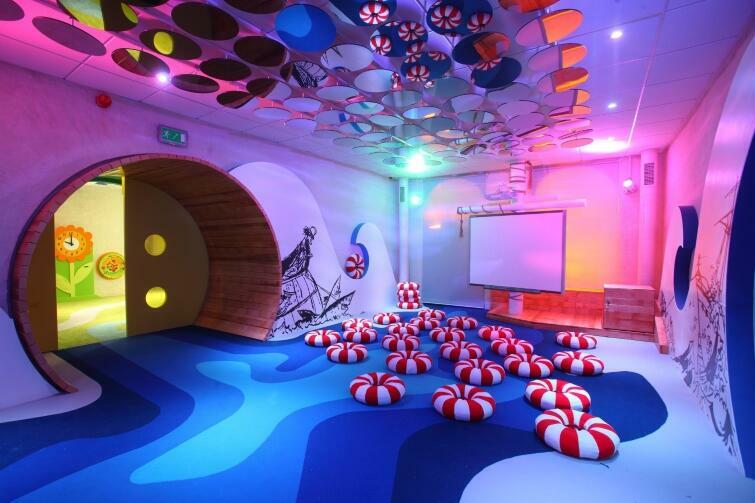 There kids can enjoy the creative playground, the Laboratory of Mr. Kleks and the Movement Gallery, with additional planetarium shows and night-time ghost encounters organised during the summer. No visit to the Hewelianum Centre is complete without a stop at the viewpoint located right next to the buildings, offering an amazing view of the city. It's worth visiting both during the day and at night. 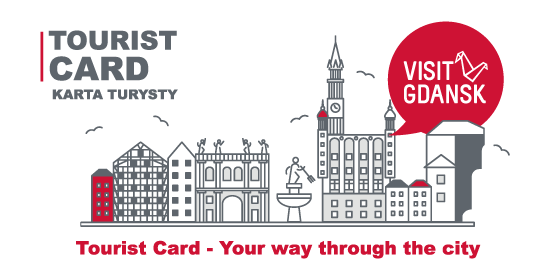 At the end of your vacation in Gdansk, we suggest you take a day trip to see our neighbours. In Sopot, visit the Stronghold. One of the oldest places on the map of the Tricity, it is located on the grounds of a 9th-10th century castle. Today, it’s a charming open-air museum surrounded by greenery and sparkling streams. 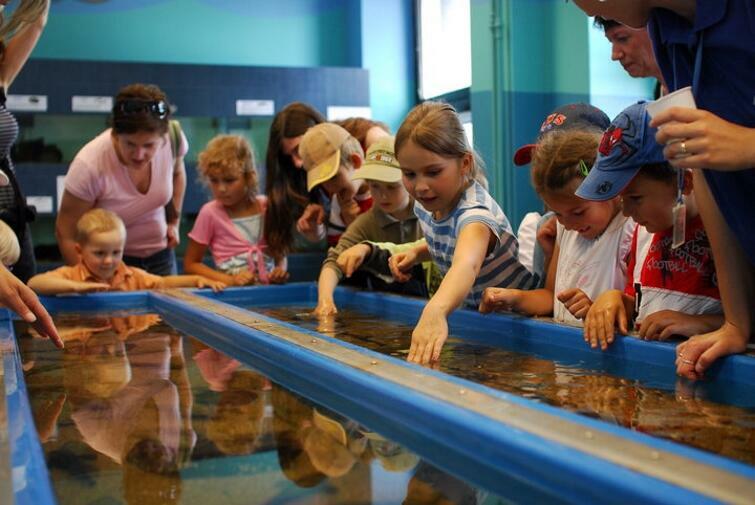 Once in Gdynia, we recommend you visit the Gdynia Aquarium, where you'll find fish, amphibians and reptiles from all over the world. Located just opposite the aquarium is the museum ship Dar Pomorza, considered the most beautiful Polish three-masted ship. For more than half a century, it was in the service of the Naval Academy, where it completed 105 voyages, called at 383 ports, and helped to train almost 14,000 Polish merchant marine officers. While in Gdynia, we also encourage you to take a stroll along the boulevard (children can ride along the bike path), have some fun at the city playground on the beach, to ‘conquer’ the steep hill at Kamienna Gora, a small hill with a magnificent panoramic view of Gdynia.